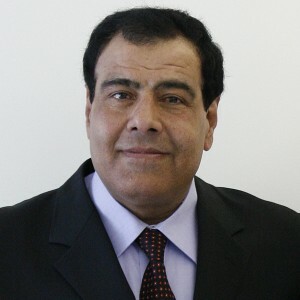 Dr Izzeldin Abuelaish is best known as the victim of one of the most horrible tragedies of Operation Cast Lead – Israel’s 2008-09 assault on the people of Gaza. Dr. Abuelaish was the first Palestinian doctor to receive a staff position at an Israeli hospital, where he treated both Israeli and Palestinian patients. Immediately before the 2008-09 Israeli assault he was a researcher at the Sheba Hospital in Tel Aviv and already an important figure in Israeli-Palestinian relations. On the 16th January 2009, Dr Abuelaish and his family were in their home when an Israeli tank shell destroyed their house and killed three of his daughters. He founded the “Daughters for Life Foundation” in memory of his daughters who were killed and has written a book, entitled “I Shall Not Hate: A Gaza Doctor’s Journey on the Road to Peace and Human Dignity”. Tags: Gaza, operation cast lead. Filed under Israel and Palestine, israel and palestine articles, israel and palestine conflict by Father Dave on Nov 21st, 2012. Comment. This marvelous and timely testimony was passed on to me by dear Father Elias, who comments that he is proud to call this man a fellow Dutchman! Dr. Hajo Meyer is a member of “A Different Jewish Voice” – a Dutch-based, secular Jewish movement that dares to openly criticize Israel’s policies toward the Palestinians. As a result of his experiences in Auschwitz, Hajo Meyer claims to have learned one fundamental lesson: that his moral duty as a human being was to never become like his oppressors. May the blessing of God be upon all courageous Jews like Dr Meyer who uphold the good of humanity above that of any particular race. Can’t view this video? Try this link. Tags: Gaza, Holocaust, israel and palestine, israel and palestine conflic. Filed under Israel and Palestine, israel and palestine conflict by Father Dave on Nov 18th, 2012. 3 Comments. This interview comes courtesy of Russian TV (RT.com…) who do a marvelous job of offering an alternative perspective on world events – one that doesn’t simply echo the official western narrative. The latest assault on Gaza is a case in point. All the mainline western media repeat the official mantra – that ‘Israel has a right to defend itself’. As Chomsky responded “[Israelis] are defending themselves in the sense that any military occupier has to defend itself against the population they are crushing.” To call this self-defense is a simple lie. Max Blumenthal likewise exposes the lies that make up the official narrative. How bizarre that we have to go to a Russian TV network to get an interview with this guy in New York! Tags: Gaza, israel and palestine conflic. Filed under Israel and Palestine, israel and palestine conflict, map of israel and palestine by Father Dave on Nov 18th, 2012. Comment. What have the results been ? Overall – nothing positive. Israel killed Hizbollah leader Abbas al-Moussawi, and got the vastly more intelligent Hassan Nasrallah instead. They killed Hamas founder Sheik Ahmad Yassin, and he was replaced by abler men. Ja’abari’s successor may be less or more able. It will make no great difference. Tags: death in gaza, Gaza, Gaza Strip, IDF. Filed under Israel and Palestine, israel and palestine articles, israel and palestine conflict, map of israel and palestine by Father Dave on Nov 17th, 2012. Comment. Tags: death in gaza, Gaza, Gaza Strip, Hamas, Netanyahu. Filed under Israel and Palestine, israel and palestine conflict, map of israel and palestine by Father Dave on Nov 15th, 2012. Comment.